The second episode of tvN Sat-Sun drama Memories of Alhambra got 7.363% AGB nationwide ratings, a slight drop from the premiere episode but still very strong for a cable drama. 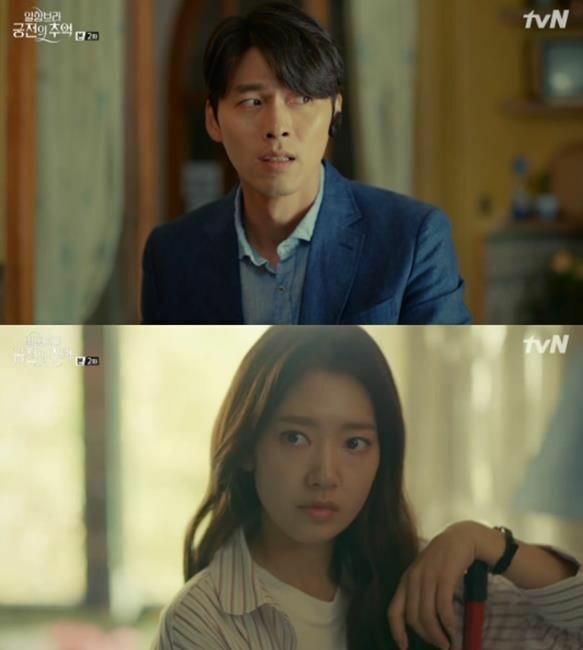 I know folks will compare with the premiere two episodes earlier this week of the other high profile tvN drama Encounter (Boyfriend), in the Wed-Thurs slot doing over 8% in premiere and jumping to past 10% in the second episode. I see the two as colleagues rather than competitors and delivering totally different watch appeal, but it’s understandable the strong and opinionated fans of the four famous leads of those two dramas may want to stir up competition. After watching both dramas I’m more emotionally invested in Boyfriend which caught me by surprise as the synopsis was yawn inducing for me whereas Memories sounded fresh and had the two leads I loved more. So far Memories is super cool and interesting but I’m not yet emotionally connected with the leads and a tad worried that the drama will go down the convoluted rabbit hole of screenwriter Song Jae Jung‘s last drama W: Two Worlds. Comparisons aside, I love both dramas and am so thrilled with the start to great December watching season! Ep1 was wow for me – the pace slowed in Ep2 and I blame the editing. The last few minutes kick off my interest again. Ok I roll my eyes at park shin ye I think you are bullying me and I’m crying scene- I’m not convinced by her acting at the moment but she’s likeable enough. Just hope the female lead has a better backstory at least – one is tired of candy who needs to look after her family and do 100009 jobs – I mean whey? Do we need these kind of leads? Yeah I like that with Song Jaejung’s drama you never know what you expect. It’s a fun and exciting viewing experience. She’s like a double-edged sword. She can be really good and also really bad. I really dont understand the comparisons between the “boyfriend” drama and this “alhambra” drama or even why the “boyfriend” drama is mentioned in this post other than the purpose of starting fanwars and bringing traffic to this entry.They are not the same genre.They are not in the same time slot.The only thing they have in common is that all four leads are popular and both dramas are airing on TVN. I am not a fan of any of the four lead actors and actresses.Il just eat my popcorn and read in amusement as the fans go at each other.But just saying, ratings are unpredictable.They can peak and dip at any point.I know the first 2 or 3 episodes make the first impression.But we have all see dramas that start with high ratings and good reviews and then descend into the abyss from mid point to the end.We have also seen dramas that people write off or just meh reaction end on high note.Anyways, will be reading with interest. This comparison is what brings in the site traffic, my dear friend. I wouldn’t compare since the two dramas are of totally different genre. MOA is not a genre for everybody. I applaud it still for the creativity. Guess the comparison is unavoidable because of the four big names. Some fans just want to make use of the results to highlight who has stronger starpower when in fact, the ratings is more on the taste and preference of public at the moment. Acting wise, Hyun Bin is top notch. 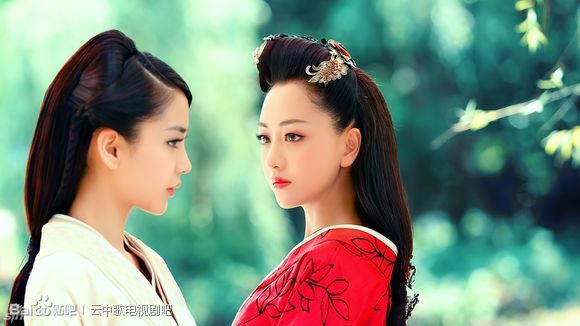 The two female leads of both dramas are not that good. SHK and PSH doing their usual recycled expression in every dramas whereas PBG is actively doing toothpaste commercial. And comment is neutral since none of the four are my faves. Initial ratings are definitely due to star power. 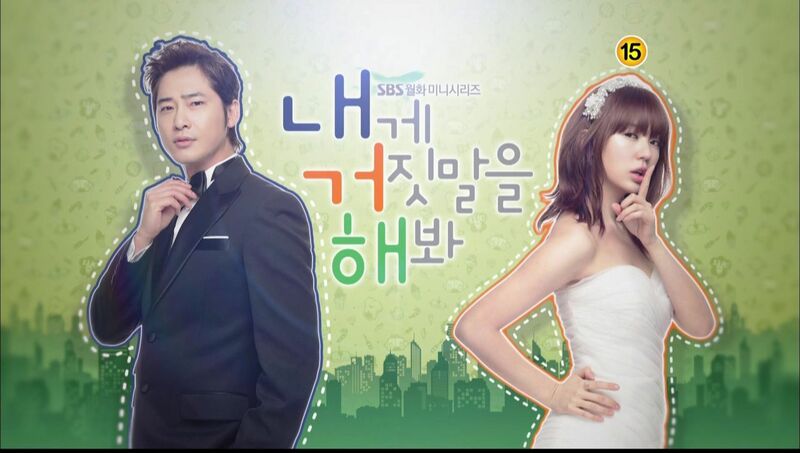 Starting out at 7 and 8% is no joke; most dramas only reach that rating in its last few episodes. But the taste of the audience comes in after that. mainly because people were comparing the two and saying Boyfriend is surely going to flop (I really don’t know why anyone with any sense would think that…) while MoA would be a hit. Turns out Boyfriend is doing better so of course there’s going to be some gloating. Now you are twisting the words? People were all saying Moa was going to flop because Hyun Bin is a flop, the genre is science fiction etc. Boyfriend was always expected to be a success. The fanwar was always about how Boyfriend is “cliche” and Moa is “fresh”. Actually I didn’t see anyone gloat here. Boyfriend fans are here because the author mentioned Boyfriend in the post, and consequently some commentators have said Boyfriend is cliche compared to to Moa. They came in to defend their drama, not post about how Boyfriend is better than Moa. On the other hand I also didn’t see anyone saying that Boyfriend will flop. Most people say that its guaranteed to succeed because of the pairing and the genre which appeals to audience. If anything, people are calling Moa a flop and is still calling Moa a flop. yea i agree from the start people predicted that boyfriend will be a hit because of its noona romance story and ofcourse its lead SHK and PBG while MOA will flop because of its not so light story and HB but i see the ratings are only based on Korean viewers while for international views MOA is trending as well especially in sites like kissasian and its popular list on Netflix so more international fans were getting hook to MOA. and thats for sure is not a flop in my opinion. Actually even if you just base it on Korean viewers its not a flop either. Korean media are saying its unexpectedly doing quite well despite its challenging genre. 7+% is also above average for cable. Moa was always expected to be a hit internationally because of its genre and hallyu leads, which was why they sold it to Netflix. I think people are dubious whether it will succeed in Korea – some think it will because leads are famous and some think it won’t because MBC tried a similar variety program but it flopped. So it was a pleasant surprise when it premiered at 7%. There are articles praising Moa here. Me too. I was never a fan of PBG, but gotta admit he sold me on this one. This drama looked like such a cliche drama, and actually it is, but somehow the script kept me smiling. I think what I liked about the main leads is there was no fighting or bickering like usual rom-coms. It was refreshing to see 2 people meet and just are kind to each other. That and talented acting really drew me in. No gimmicks or special effects needed. 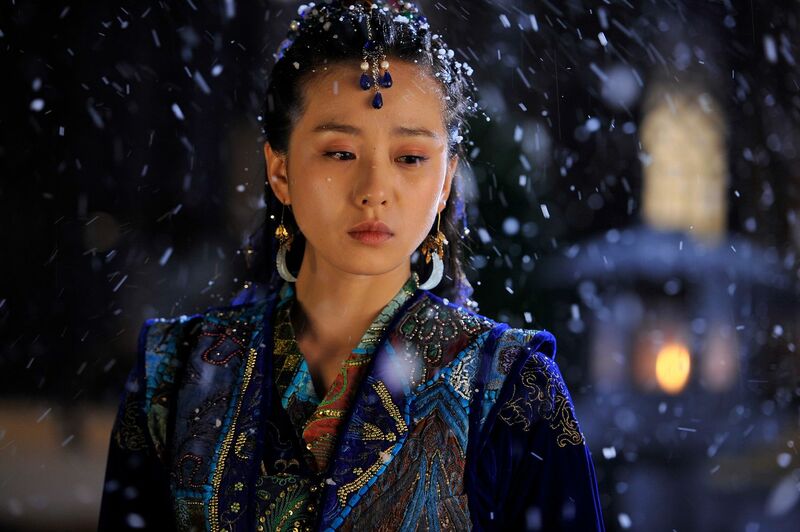 MOA is more my type of genre and so far I am very interested in the story and the special effects than the leads (although I must admit HB is very attractive, and PSH is kinda there but not that important yet). Also I swear some parts must be filmed in Venice, the door of Bonita Hotel (especially the big round brass door knob) is totally the style of old Venice apartment buildings, even the staircases, and all the side streets around the hotel look so familiar, it brings back very fond personal memories. Boyfriend is more appealing to the general audience in particular the ajhumma fans, but the mothers are annoying… so it is not as entertaining to me than like playing a virtual game. It is still early to decide which drama is better but I think ratings should be higher with Boyfriend because not everyone can understand the gaming factor of MOA. Just my opinion. I prefer MOA for now. Boyfriend feels too cliche and I don’t quite like the acting of both leads. When SHK asking PBG whom did he called at 12.20pm, I was ready to throw something at the screen. As for MOA, sorry but PSH acting is bothersome. I am watching for now for the creative plot. Let’s hope it won’t go down the W route. I agree with you. Boyfriend is cliche, cliche and cliche. Jumping the bandwagon a bit following Pretty Nuna Buy Me Food. It’s almost like someone suddenly said hey lets put SHK and PBG and write a script rather than the other way round. Also cliche acting from SHK … butter wouldn’t melt in my mouth acting. I like to see her in a more challenging role. I still think W was very refreshing. I don’t think the concept had ever been tried. There isn’t much of her to judge quite yet and i guess there are a lot of potential, i hope they can use her since is a waste how kdramaland always misused actresses. @Leh, hahaha… I am just saying since a lot of people has been commenting on her acting. I am a bit irritated by her crying too… I agree it is too early to judge her. Let’s wait and see how her performance will take off. The writer’s previous drama W totally ruined the lead actress character, I just don’t want to see history to repeat itself. I still don’t have much faith in this writer both in story consistency and actress development. Although I am very much enjoying the first 2 episodes, I am sitting on the fence on future execution of this drama. boyfriend sells their character and how this world make everything sensationalised. Also the main lead is a politician daughter who may become a president’s daugther, was married to a chaebol, get cheated on and divorced, get alimony a hotel that becomes successful yet keep coming to her ex-MIL birthday party is already huge story that will involve opportunistic mother and conglomerate, honestly actually a real background that fits into the story, not just somehow an older woman. People around me say that if you ever fall to a younger guy, that’s will make it magical because you see all the life she/he emerged, love it and it makes you happy. You can praise Alhambra all you want but dismissing Boyfriend as Ahjumma taste is huge understatement of the actors’ chemistry that sold the show. I am saying that simply said boyfriend huge because of ahjumma makes it sounds like it has no merit when it has good production and excellent chemistry, execution is almost everything these days and they did it well. Just because MoA dipped in rating doesn’t mean other’s that jump in rating is bad or because of “fanbase”. @Poen – I hope you were not replying to me, but sounds like you are and you are WRONG! I wrote “Boyfriend is more appealing to the general audience in particular the ajhumma fans”. Who says “only ahjumma watch boyfriend”? You wrote a big long paragraph to show your illiteracy and to stir up a fan war or what? Stop barking up the wrong tree crazy dog!! You can praise Boyfriend all you want but accusing me of saying something I don’t write is a hugh offense to me. Move! @candycane your reply seems so off. I am saying that take boyfriend out of this, just praise alhambra all you want, stop the fanwar by not mentioning other drama. Stop trying to get your way out by not understanding that “particular ahjumma fans” term isn’t shades for the genre that ahjumma likes, you really don’t need to say that “ahjumma makes it big” when ahjumma also a particular watcher for Alhambra. @Poen – you are the one replying to me first. The blogger mentions the two dramas in her article, read carefully before you tell everyone to remove BF out of their comments. I am not the only one mentioning BF here and my comment was not even negative. Fanwar is not started by me, it starts when illiterate fan like you trying to be defensive and not allowing free speech to express different opinions. Too bad if you don’t like me mentioning “ajhummas” in my comment, did it hit a sore knuckle of yours? Ajhummas are everywhere, why can’t I mention a general term? You shouldn’t tell me what not to say because I find this very offensive. It is much better if you leave me alone. I love the first episodes! It’s so refreshing to have a new story. I’m not a gamer so all is new for me. Hyun Bin looks pretty good in the role. Park Shin Hye is less interesting but because of character. She did nothing until now and she’s a hard working person but cries very easily, it’s kind of weird. I hope she will have a better story. the timeslot?its 9pm kst on weekends, thats the time people are infront of the tv. Will wait until MOA finally finished airing all it’s episodes to come by again. All these comparisons and fan war are too childish and pathetic. Too many weird peoples in this drama land world. 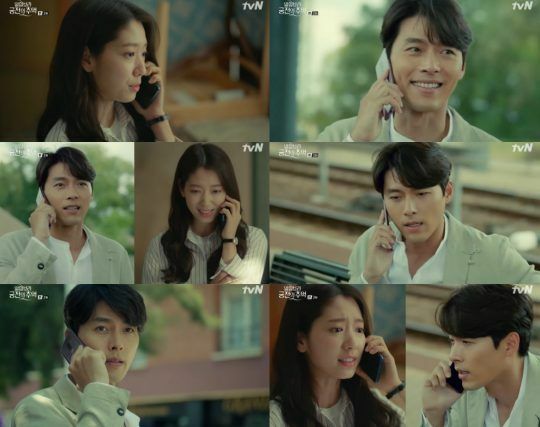 Anyway happy for the well received rating for Hyun Bin and Park Shin Hye and the whole team. Am loving encounter so far kept on smiling through out. I think they both have equal ground given that moa is a weekend drama but not a public friendly genre and bf being on non weekends but more public friendly. Who set this list? You? LOL. As I have said, MOA is not the genre for everyone. No need to compare dramas of different genres. It’s like comparing classical opera to K-pop, does this make any sense? lmfao u can find it in soompi. this is the title “encounter” Tops Ranking Of Buzzworrthy Dramas and Actors. Like it or not, people will comparing them. …not ‘uneducated people blabbing’ or ‘dumb people compare’. But then, you know what you like. Lol you’re too old school dear and still live in the old days. Nowadays man in their mid 30s play more video games than the youngster so cope with it. Some fans here are being butthurt because they felt the need to give attention to their bias by taking down on another productionand actors. Leam approach because like it or not MOA is still an entertaining drama at the end of the days to those that enjoy it’s genre. LMAO I’ve watched both dramas and they have nothing in common so what is there to compare. Let me quess oh it’s stars power…please how ignorant. I don’t enjoy the other drama much but as for respect to everyone who have taken part and the production team no need to start all these craps. But hey it won’t be Korean drama and it won’t be entertaining if you don’t have dump people like this to promote their bias drama. Waiting to read more from these proud fans. Go MOA the old ahjussi and the untalented boring Park Shin Hye. He looks mightily fine in this role – what’s with the hate! This girl is funny for wanted to show everyone Hyun Bin and MOA is below her bias. Such proud fan. 😂Hyun Bin is old ajusshi but is still a fine man who can do almost anything in the acting world so it’s no shame at all if he’s below or in the higher rank.😘 A talented actor will always be a talented actor. Song Hye Kyo is one of my bias but I don’t dear to compare her to any other actors out there because she usually recycled her performance so not too proud here. You don’t even sound like her fan. Try harder. @sunshine Sorry I don’t need to explain my reasons if I’m a die heart fan of Kyo or not. All I know is I like her and has been a fan sense AIMH. I’m not the kind to praise or compete my favorite with other actors that I see is really a capable actor if i know my bias have flaws. As if hyun bin isn’t playing a CEO for tenth time. @Facts “I don’t dare to compare her to any other actors because she usually recycled her performance.” What made you day this? Did you see anyone praising her for being more talented than the others? Okay enough with this, my apologies for even mentioning Kyo and my opinion.😥 Hoping to see both dramas reach maximum peak. Weird, I become hater now? But actually he really ahjussi, and yeah he just playing game in that drama, thats why I called it boring. Too many salty people in here, I wonder why. the drama is so far so good. it has thing to look forward and the plot is intriguing. rating is also good for the genere considering the smaller target of audience. You guys need to put down the actors either this or that way, don’t you? Feeling better? I think binnie fans can’t blame park shin hye like they hate hajimin since psh part really small. Encounter is a simple drama and I really enjoy it . 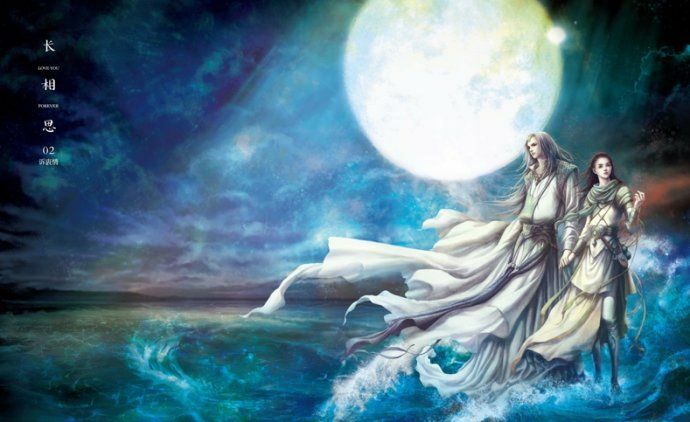 the idea is unique but anime and cdrama already got it 1st as the 1st medium to try that. I don’t know where you’re getting at but the hidden behind the “not your genre” and (MOA’s fans can’t take any criticism) is probably a too proud act of yourself and whatever drama you’re full of. Give me a good laugh but it’s best to not give my reason because I’ll come down as another MOA fan who can’t take any criticism. When did people claim that its the first in the world? @tulip you’re explanation and defensive are a meh….? You are the great example of can’t take any criticism. Lol you have to throw shades at Memories of Alhambra fans to feel good. What a shady person. Ok this might be a bit controversial but I feel like this blog puts way too much weight on buzz and especially local ratings when judging or discussing a drama. It would be nice to mostly focus on discussing the story and characters mostly on their own as opposed to how popular or well received they are but I know this current approach drives traffic. Koala used to focus more on storyline than buzz, but it seems her style changed. Several comments in netizenbuzz before this drama airing. (+5,-0)After seeing hyun bin straw his word, I think this drama will be flop. I already saw that in goblin. (+6,-2)I think it will be flop, I’m huge gamers, I’m not interested. Ok, but you know all these comments are from before the drama airs, right? Now all the recent articles are positive about cast, storyline and production with thousand of upvotes, not 5 people. And honestly, can you stopped? you keep changing your username and feeding fanwars in all articles, girl, you need a hobby. Obviously she’s got nothing better to do than posting stupid comments in articles featuring popular actors. Its not just Moa articles lol. Hyun bin feels like an uncle on top of being arrogant. Tough getting invested in this show. Dropped. Tried watching the first episode, but halfway thru the drama I stopped. The opening scene with Chanyeol was good though. Other countries does this theme better.Korea doesn’t have the range. At least they try. It never hurts to do something new out of the ordinary so it’s an applaud for the writer’s and director for being creative. It’s not horrible to an extent so it’s not a loss as well. If you are talking about Love O2O then it really isn’t similar to this drama at all. I’m not feeling both drama. Maybe I’m abit tired with conventional drama and want to look something geniune to tell… Both drama appeal are their superstar for sure. I see more people praise Moa’s storyline than its leads tbh. Critics are all praising Song Jaejung more than the two leads, although I see Hyun Bin getting praise as well. I think those who watch for Chanyeol (aka Exo fans) will be disappointed tbh. Since he’s a supporting character and won’t have much screentime compared to the main leads. Most of them are scared he will die. But they are still happy to see him. It’s nice to have a popular idol in the cast for sure, they really do help in promoting dramas. The ratings for both dramas are stars power and popularity bias. Not impressive or worth competing because I’ve seen better production that deserves better ratings. So what’s the fuss about comparing both dramas and all four leads. Very funny but I have got to admit Hyun Bin is a capable actor. Other than that both dramas are not everyone’s cup of teas so be glad the production actually produced something to kill times. I will definitely tune in for next week’s episodes too see where this embarrassing fan wars actually leads too. Yeah embarrassing and boring tbh. Just a few Moa viewers who called Encounter boring and then the same few SHK fans coming in to Moa’s articles to defend their bias. It would help if Koala stop mentioning Boyfriend in Moa’s posts. I don’t watch much Asian dramas except movies but since these two dramas kept surfacing in my social media so I decided to give them a tried. My honest opinion, both dramas has it’s own unique concept and not bad. So no need to compare but Memories of Alhambra is more appealing to me and as a Film lover i would said I’m impressed with Mr. Hyun’s performance. I have seen many of his film projects and no doubt this man can really act. Korean cinema got better with their CGI so I’m glad for that. Oh my… What a useless argument about this two different drama? Can we just enjoy watching…both are great drama despite of the different genre. Although I prefer Boyfriend,MOA is kinda refreshing and I started to like it,will definitely waiting for the next episode. MOA is airing on weekends which is said easier to get high ratings while Boyriend on weekdays which it got quiet high ratings so far.. Despite of all fuss about both female actress, tbh they are the reason I watch both dramas.. Esp fot moa, cause I am not really a fan of the male lead. There is no romance yet but interactions between the leads are kinda funny tbh. Yoo Jin-woo is shameless lol. I loved how Hee-joo lashed out at him. Can’t wait for their romance to start. His assistant also kinda funny. Really enjoyed episode 2. I rely on subtitles and oh my, loved that part where PSH talked back at Hyun Bin’s arrogance. The last AR part was fab too. Is it HB’s body but Chanyeol’s legs??? It feels like a film then a drama. Was he driving distracted to meet the other user? Yup. His rival, Cha Hyung-seok. 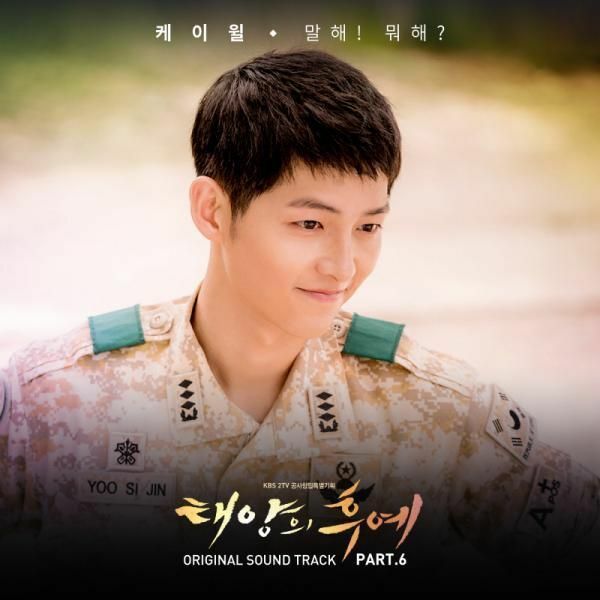 Anyone knows when the OST for the drama will be released? OMG I was about to ask the same question when will the ost be released? I love it already. I finally got the chance to watch Alhambra and i love it so much. The plot is very innovative and the acting is great. Has some flaws but it’s worth my wait. Can never go wrong with Hyun Bin when comes to action and comedy. Park Shin Hye is very cute but i felt she is a bit stiff. I still enjoy her parts especially she snap back at Jin Won making him lost of words. Hyun Bin smile always brighten up my days. I applaud Chanyeol for his performance in this drama. Not bad it’s good and I’m dying to know what happened to him. OMG the wait… I need Saturday and Sunday to come by soon. Lol my favorite quote so far “I’ll use my looks if all else fails.” 🤣😂 Jin Woo too cute. Taklking about having too much self confidence Mr. CEO. Memories of Alhambra found my self a great drama to look forward too. OMG dont you think he’s like Kim Jon Won the adorable arrogant young CEO in Secret Garden. I miss him as Kim Jon Won so much especially with Ha Ji Won. The best Kdrama couple of all times. The writer’s of this story is so sweet and teasing to choose J.One as Hyun Bin’s company name in the drama. Knowing that belongs to Ha Ji Won. Sorry I can not relate to you because I’m not a Secret Garden fan and shipper. I’m a fan of Hyun Bin and his works but not his shipper so you can go asked someone else. I dislike crazy shipper related comments the most. Hyun Bin’s character here is like a mix of rom-com and action hero. Love it. Fantasy is my fave genre. I’m just glad they have good CG for once. I knew it when shk and hyun bin’s drama airing almost on the same time.. it will cause fan war like this.. regardless what kind of drama they do. I like Boyfriend a lot more than MOA..just because MOA is not my cup of tea.. the genre.. I tone in to this drama for Park Shin Hye and Chanyeol the park sibling because I was never a fan of Hyun Bin but wow he now got me as a new fan. I love his performance and got to admit he really is a great actor. He really know his part and dam is one fine man. I’m addictive to MOA now when sic-fi was never my thing to begin with. Park Shin Hye has very little screen time but it’s still worth the wait for me. With all the bad critics about her acting I understand because she did do kinda bad in these two starting episodes. Hope her acting picks up because I’m excited to see the red cap woman where Jin Woo got his eyes glue to. So mysterious and adventurous. Critics is what makes a person better so accept it. Chanyeol part is good and intriguing. Love the whole production. When critics said he is a top actor and you know why because he is one of the best in South Korea cinema. Hyun Bin still slay it after his long hiatus in the drama world. His performance is Daebak. He can do pretty much anything from melodrama to comedy and action pack. A total package actor. I like Park Shin Hye too though her performance need to be a little more convincing. She’s cute and a bit cringeworthy. Chanyeol did well as a beginner and i enjoy his screentime. Thank you to the writer’s for giving us this amazing piece. I long to see something flesh and out of the ordinary for a while. Something adventurous and mysterious with actions. You really nailed it. I don’t care if this drama hit the jackpot or is another big time flop. If the acting is worth my wait then it’s an Ace already. I wait to see the chemistry from the lead when the next episode air. Park Shin Hye is fine but she still doesn’t have much screen time and the few scenes she had doesn’t do anything for her, thats why some people still need time to warming up about her. I’m can’t thank the production enough for bringing my ahjussi Hyun Bin back to the big and small screen all in one year’s. He’s awesome as always. Such a very versatile actor. I’m loving episode one and two much because it started out good and very entertaining. Now just keep wishing my wish will be granted since I heard Won Bin might make a comeback to the big screen soon and I’m thrill. My wish is to have all my favorite actors (Hyun Bin, Won Bin, Gong Yoo, and So Ji Sub) in one action pack movie together then I’m all set. I can’t help but love these 4 ahjussi so much. They’re all talented and cool. About time Korea gets on with the gaming trend, since their competitive gaming industry is so big. After reading all these commenters, i don’t know Encounter fans are so weird and so defensive. Y’all need to learn to take criticism to each their opinions Encounter may have higher ratings but does not prove people have underestimate the drama but it’s turned out to be a best drama ever made. The ratings can also come from the support of Song Hye Kyo and Park Bo Gum fans because their fan base is huge and is worldwide. My honest opinion here so don’t come lashing at me with “bias fans can’t take any criticism”. I enjoy watching Encounter but I wouldn’t say it’s the best drama ever made. I have seen better one. Love Memories of Alhambra. The first two episodes are awesome and I’m sold. First time i actually enjoyed a sic-fi drama. Thanks to Netflix for picking up the drama so I don’t have to watch it on Kissasian and dramanice because I the pop-up are giving me a headache. I pick up this drama after reading it might be a flop because Hyun Bin is somewhat know to be a biggest flopper in movies and drama land to actually got impressed by his outstanding performance. I have always been a fan of his since he normally wow me rather the production hit rock bottom or sky rocket high. As expected the drama is good and not your typical repetitive Korea dramas. His pairing with Park Shin He and Chanyeol is a great compliment. Im all in for this annotated ride.